My name is John Albany Hoyle and I live and work in the Charnwood Forest area of the UK. 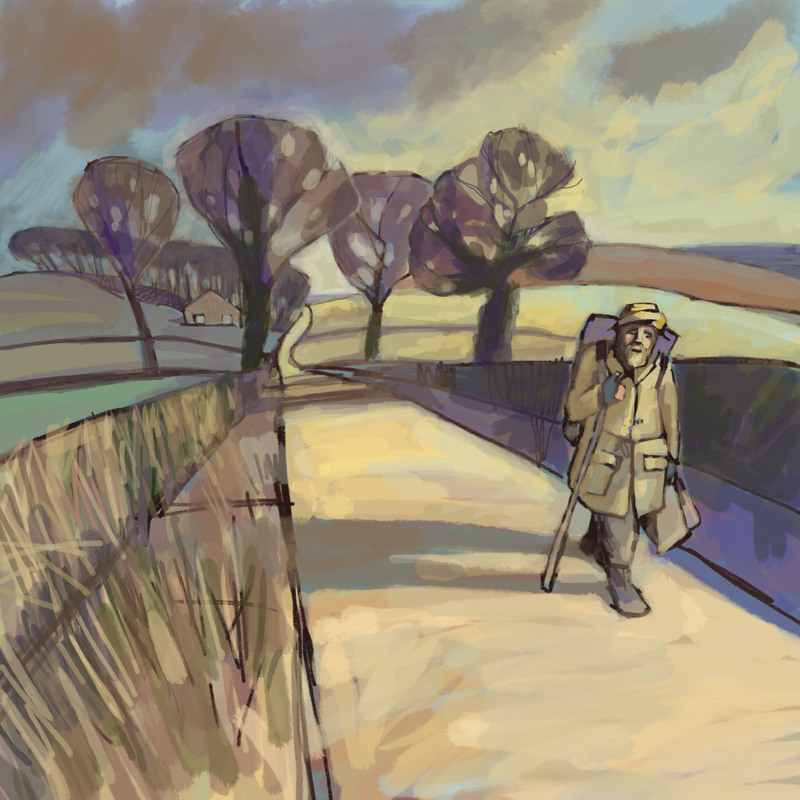 My iPad painting, The Rambler, was recently selected in the Top 10 Digital Paintings from over 1200 worldwide entries for the mDAC Summit's Mobile Digital Art & Photography 2015 Exhibition in Palo Alto, California. The Rambler was created using Procreate on iPad Air 2, with the help of the Pencil Stylus by 53. The Rambler is one of a series of Artworks I have called 'Life:Scapes', all created on iPad; Please see my Life:Scapes web page for more images! Copyright John Albany Hoyle 2018. All rights reserved.